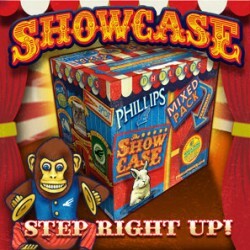 VICTORIA, BC – Phillips Brewing is set to release a new mixed 12 pack called the Phillips Showcase. In addition, each case will contain a code to download several tracks from a BC musical act. The first package will allow access to tracks from No Nations, the new album by indie rock band Jets Overhead. The Phillips Showcase is being officially launched with a release party at the brewery today from 3 PM to 7 PM, and will be available in retail outlets in BC soon.